The best way to contact us is to call us by phone. Most days we are in the field working. If we do not pick up, we are probably on a work site and it may not be safe to answer at that time. Please leave us a message. We will call you back as soon as we can. 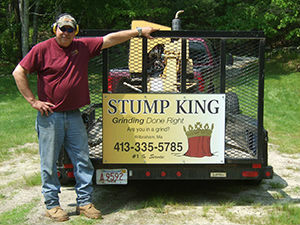 Stump Grinding Done Right! We Service Western MA!